Have you heard about Spoonflower? They have been around for a while so this may not be news but for anyone who has not let me introduce you to them. A little while ago I had a special request for a rather specific fabric that is going to be made into a quilt. I have used Spoonflower in the past but could not believe my luck at being able to find exactly what I needed. Spoonflower is a website where you can print and sell your own fabric, you can purchase fabric, wallpaper, decals and even wrapping paper. There are so many different designs and customisable options for what you are after. 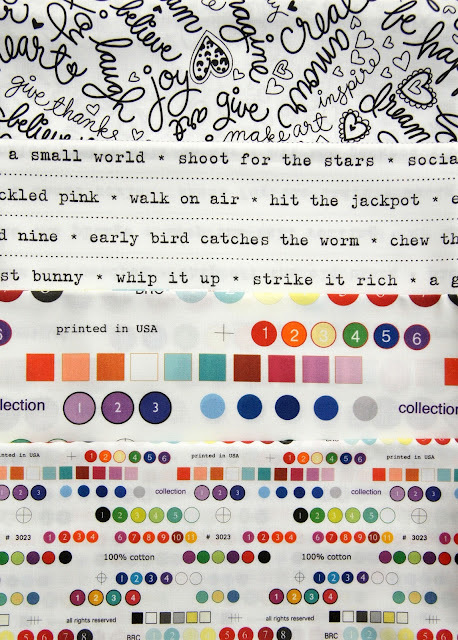 You can even choose the type of fabric your chosen design is printed on to. While I am keeping the aforementioned fabric I found secret squirrel for now here are some of the other fabrics that I could not resist. Here they are from the top down. I have not kept selvedges in the past so this is going to be a great way to get the look for some of those "Selvedge" projects. These were shipped super fast and I am looking forward to incorporating these into some upcoming projects soon. Let me know if you shop up a storm over at Spoonflower.